If your MIDAS booking system is cloud-hosted by us (i.e. you access your MIDAS system via https://your-company.mid.as), then you'll be able to access it from anywhere in the world with an internet connection (work/home, etc). If your MIDAS system is self-hosted by you/your company, then where you can access it from will depend on where/how MIDAS has been installed within your network infrastructure. If your self-hosted MIDAS system has been installed on a web server that's externally reachable via the internet, then, similar to a cloud-hosted edition, you should be able to access it from anywhere with an internet connection. However, if your company have installed a self-hosted edition of MIDAS within your company's local intranet, then it's likely that this will only be accessible from other computers or devices within your organization's LAN. You may therefore be enable to access your MIDAS booking system externally. 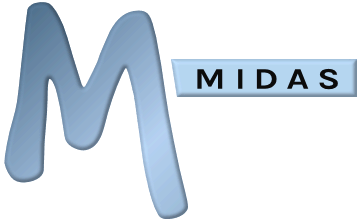 If you're thinking of running a self-hosted edition of MIDAS and are not sure whether it'll be externally accessible, then please check with your network/IT manager, or consider our cloud-hosted option instead. What are the server requirements for running a Self-Hosted edition of MIDAS?